This job has been a little different for the team. 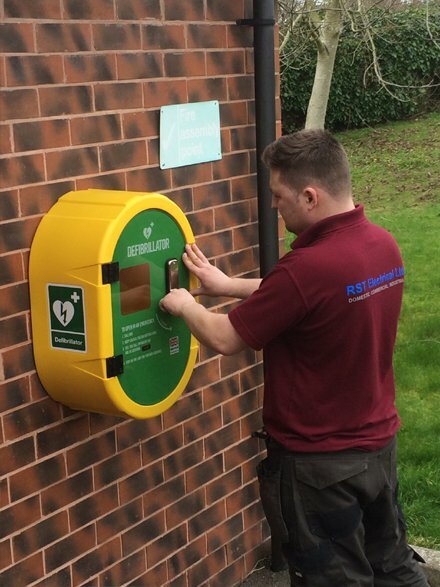 RST Electrical has recently installed a number of defibrillators near Retford. The defibrillators have been located in various places including phone boxes and village halls. The wall mounted boxes are designed to keep the defibrillator kits at an optimum temperature for use throughout the year. The boxes have been positioned to allow connection to a electrical mains supply.